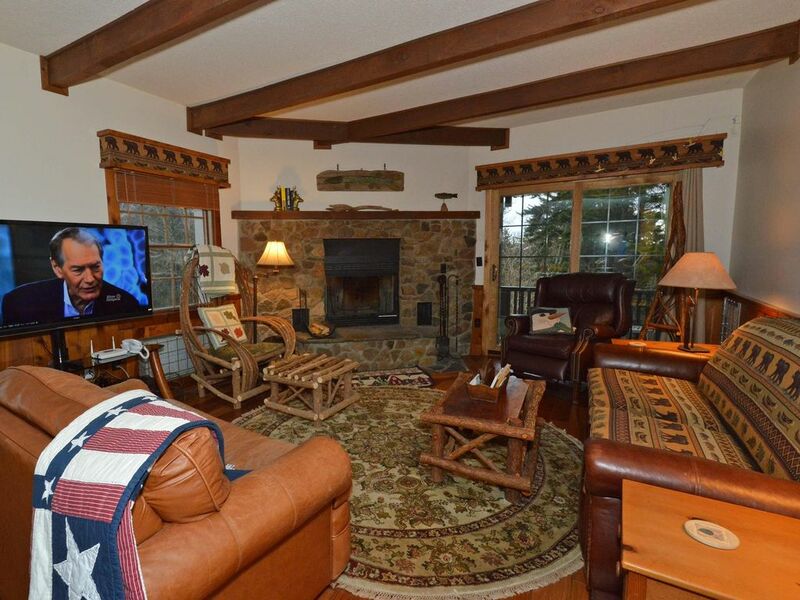 2 BEDROOMS, 2 FULL BATHS: Ski In / Ski Out. MASTER Bedroom: Pillowtop King Bed, flat screen TV, private bath. Bedroom # 2: Pillowtop Queen Bed with flat screen TV/DVD. PLUS: Flat Screen and Queen Sofabed in Living Room. Ski Storage Entry. Deck overlooks the trails. Free WiFi. Free Long Distance. AMENITIES: Gorgeous Interior Decorating. Washer/Dryer. Level Floor Plan on grade with the parking lot. Down one flight of stairs to the ski trails. Lovingly prepared for you with top quality linens, plenty of towels, paper goods, soaps, detergents. Complimentary full bag of STARBUCKS Coffee for you. Popcorn for the kids. LOCATION: Sits beside Whistlepunk Trail, a Novice run leading to the entire mountain. 2 Ski Lifts Within 100 yards. Across the street from the Double Black Diamond trails of Western Territory. Just a smidge north of Snowshoe Village Center. 5 minute walk to our favorite restaurant, The Foxfire Grill. ENJOY: Whistlepunk 29 is an exceptional mountain chalet experience. Splendid location, superb appointments, excellent condition. Caring owners have created a great place for a couple with children, or 2 couples together. For larger groups, we have more Whistlepunk units, all close together. We absolutely loved this property. The accommodations are perfect. The kitchen is awesome. It is ski in and out so you can’t get any better than that. We were a little disappointed that the hot tub outside was out of order though! We will definitely book here again next year!!! !